HUBER HEIGHTS — On Sunday, July 12, members of North Huber Heights Baptist Church will join with guests and past members in celebrating the 50th anniversary of their church and the dedication of their newly rebuilt and remodeled sanctuary. The day of fellowship begins at 9:30 a.m. with coffee and donuts in the Fellowship Hall where members and guests can enjoy a display of the history of the church. The Huber Heights community is invited to come and see how the church is serving the local community through its various ministries, Sunday School classes, and AWANA Club, which is an international children’s ministry. 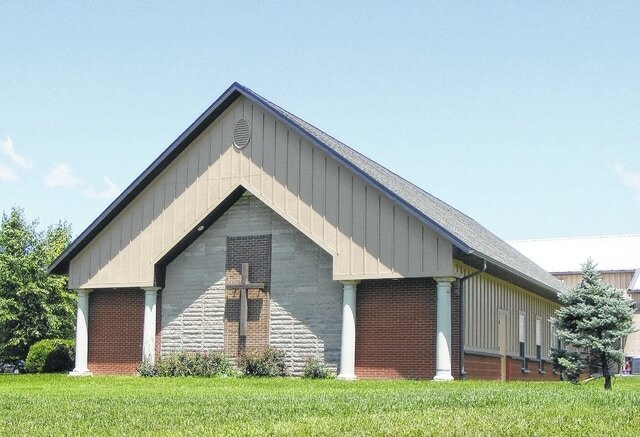 Former Pastor Thomas Bowman will speak at the 11 a.m. morning worship service and Pastor Marvin Engle will officiate at the building dedication at 3 p.m. that afternoon. A light lunch will be served after the morning worship service, followed by a concert from the gospel group, The Sneed Family. North Huber Heights Baptist Church began in October 1963 as a mission of Huber Heights First Baptist Church. The mission organized into an independent church in 1964, and purchased the William Trimbach farm on the corner of Taylorsville and Harshmanville Roads. They began holding worship services in the 100-year old farmhouse, which still stands on the property, until the completion of their first chapel in 1967. Church members continued to hold Sunday School classes and AWANA Club activities in the old farmhouse until the building of their new education wing in 2011. The Education and Fellowship Hall adjoins the original chapel which was just rebuilt and remodeled after being severely damaged in a wind storm in 2012. North Huber Heights Baptist Church is located at 6193 Taylorsville Road. You can contact them through their web cite: nhhbc@SBCglobal.net. or by phone at 937-233-1697.